Operates as a handheld, shower head. CRYSTAL QUEST® Luxury Handheld Shower Power filtration system combines the ease and convenience of showering with a handheld showerhead and peace of mind from showering in filtered water. Great for shampooing and bathing children and pets. Maximum mobility with a 5.75 foot Duro-flex hose. Easy to install and change cartridges. The attractively designed shower handle has a 3-way adjustable massaging spray and a reversible filter cartridge. 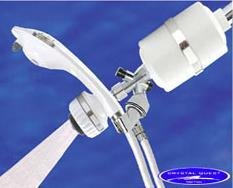 CRYSTAL QUEST® Luxury Handheld Shower Power filtration system is the most advanced shower filter on the market. Removes chlorine, Chloramines, VOC's, THM's, pesticides, sulfur, heavy metals, hydrogen sulfide ("rotten egg" odor), iron oxides ("rust water"), dirt, sediment and other odors..... and it's pH balanced!! It works in the shower by filtering the water through each stage of ERA-6500 and ERA-9500 and then Granular Activated Carbon. The results? The healthiest, most refreshing shower experience ever. It's like showering in spring water! CRYSTAL QUEST® Luxury Handheld Shower Power will give you smoother, softer skin and hair that is less dry. Your tub and shower area will be cleaner too! The unique drop-down filter design allows for a substantial amount of filtration media enabling more contact time with the water. More contact time means better filtration. This design also allows for more head room than most other shower filters. CRYSTAL QUEST® Luxury Handheld Shower Power contains a reversible filter cartridge, which lasts about a year. This high performance shower filter combines easy operation and maintenance with the ultimate in structural integrity and overall reliability. In fact, CRYSTAL QUEST® Luxury Handheld Shower Power is the strongest replaceable shower filter available on the market today. It can be easily changed and operated in either direction. Periodic reversing of the cartridge not only ensures balanced filtration and eliminates the potential for channeling, but also back-flushes the cartridge as it is filtering. 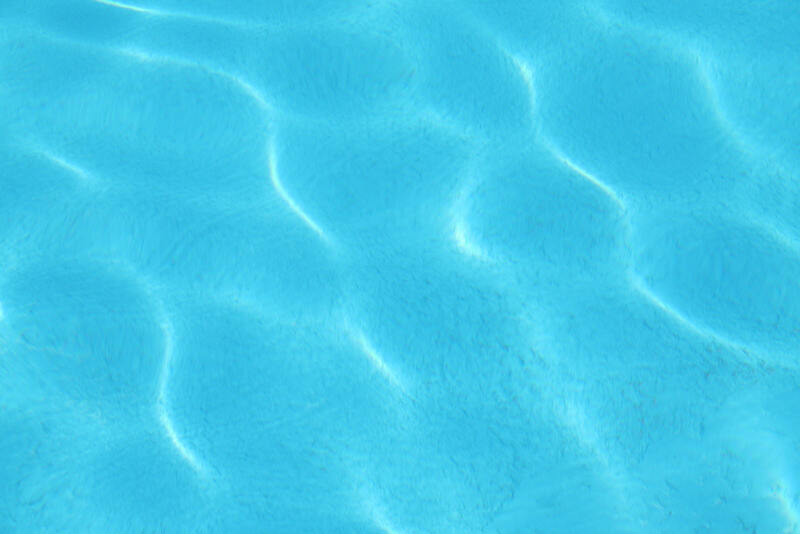 Water travels down through the center tube, then passes through both ERA-6500 and ERA-9500 media for de-chlorination and enhances pH balance. Next, the water travels through the GAC (granular activated carbon) stage to reduce contaminants and finally exits through the shower head. Conveniently provides 1 year of filtration. 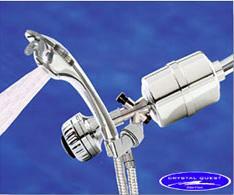 Dimensions: 12" x 7" x 4"
Recommended flow rate 2.5 gallons per minute with the maximum of 5 GPM.